The Friends of the William Lamb Studio (commonly known as the Friends of William Lamb) is a community group established in Montrose, Scotland in 1977. In 1978 the William Lamb Memorial Studio - William Lamb’s own working studio from 1935 until his death in 1951 - was to be re-opened and developed as a small gallery and museum to the memory of William Lamb – one of Scotland’s finest sculptor and artist - under the management of the Museum Service of Angus Council. 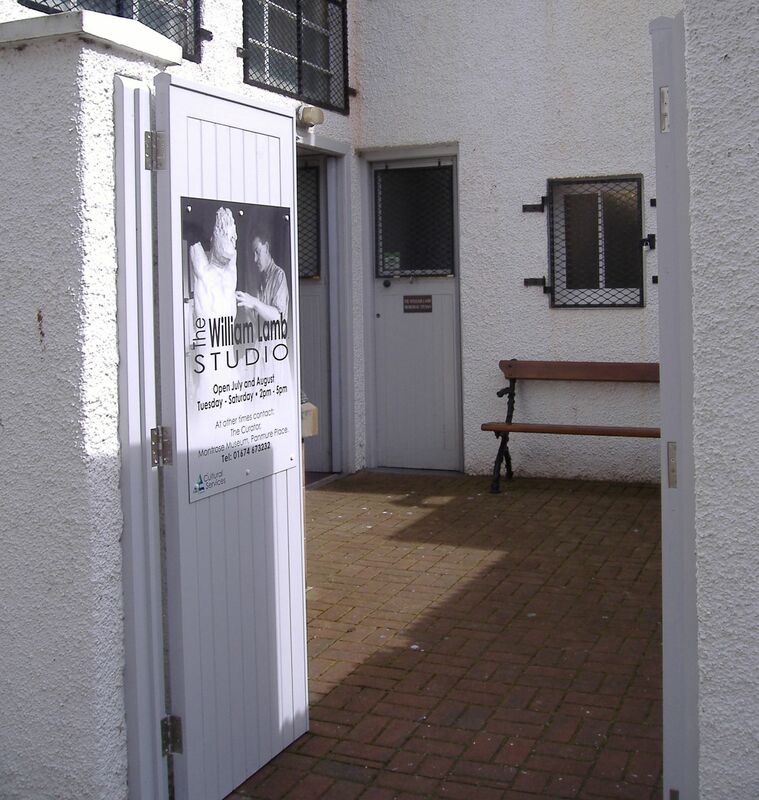 The Friends was established to support the Council in arrange regular openings and guided tours of the Studio, promoting both the Studio and Lamb himself; as well as researching Lamb and all aspects of his working life - his art pieces and models and the context in which they were created. In addition we disseminate that information through the sponsorship and publication of books, articles, leaflets and guides. They have helped with funding and developing the Studio and its collections, thereby creating an outstanding exhibition that draws visitors from all over the world. The Friends is a community group that runs under a constitution. Membership is open to all on the payment of a small annual fee. Throughout the year Officers and Committee will arrange Studio openings, activities and special events related to the aims of the group, usually around Angus or in the Studio. These events are supported by Friends volunteers. The first public “drop-in” opening of the Lamb Studio of 2019 has taken place. It was the first public opening with our new “volunteers” and was quietly successful. We welcomed visitors from Montrose and Ferryden across the river! This allowed our guides to talk about the special “Ferryden” inspiration for Lamb pieces in the Studio and we sent our visitors out with directions to look for more in Ferryden. The Friends will be hosting the - 38th - annual Lamb Children’s modelling competition again this year. Please note that the date has been re-scheduled to Saturday 25th May. Entries will through the 6 Montrose Primary Schools and Montrose Academy. It is coming: Arrangements are falling into place to get the new special heritage plaque to William Lamb – issued by Historic Environment Scotland – mounted on the Studio wall in Market Street. We hope to see it up, and “unveiled” in June, ready for the summer season openings – watch this space for more news. Summer Season Openings: As our training rolls out for our new volunteer guides to the Studio, we are starting to put Studio Summer opening days in place. We are pleased to announce that we will be opening on all Tuesday and Wednesday afternoons in both July and August. More dates will follow. BUT if you are planning to come as a large group, please pre-book. We are now booked to open the Lamb Studio again in 2019 to support the national “Doors Open Days” event. We are opening the Studio to visitors on Saturday 14th September from 1:30-4:30 pm. Friends will guide to the collections and we are expecting visitors from all over Britain. Light refreshments will be available.